The DSRIP 3.a.ii-Behavioral Health Crisis Stabilization project aims to develop community-based crisis services throughout the region which will contribute to the reduction of avoidable emergency room visits and inpatient admissions at hospitals. Watch the recap video of a cross-PPS collobaration meeting which included partners from local government units, providers and consumers. 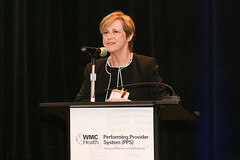 WMCHealth PPS partners and supporters held the third annual summit and quality meeting in November to share expertise, information and practical resources. Participants provided DSRIP project implementation updates and activities, discussed challenges and solutions throughout the meeting. Click the photo below to view the complete album. Video covers the planned revitalization of Kingston, NY--including the creation of a Medical Village. FiOS 1 TV- Lower Hudson Valley: News clip covering Blueprint for Health Equity Training. 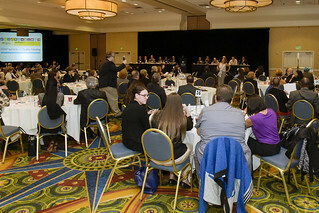 Click the thumbnail above to view pictures from our recent DSRIP Summit and Quality Meeting. If you are unable to view the album by clicking the thumbnail, click here.